“Lead-acid batteries are the environmental success story of our time,” touts the Battery Council International. “Extremely successful” might be a bit optimistic. As many as 20% — 20 million — of all spent batteries from vehicles and industry are sent to Mexico, the New York Times found, where locals are being exposed to dangerously high levels of lead, thanks to minimal enforcement of already lax environmental regulations at recycling plants. The cross-border trade is pushed by increasingly strict EPA regulations in the US, compliance with which can cost recyclers here as much as $20 million. Unless, as in the case of Exide (whose Vernon plant will learn its fate in a hearing scheduled for later this morning in front of an administrative law judge in Los Angeles), the company decides to skimp on compliance. One of only two lead-acid battery recyclers on the entire west coast,* the Exide plant in Vernon was required to shut down in late April of this year by the Department of Toxic Substances Control (DTSC) when it was found to be releasing hazardous chemicals into the soil via a degraded pipeline. Also problematic were the arsenic emissions that the South Coast Air Quality Management District said elevated the risk of cancer to unacceptable levels for as many as 110,000 people in Boyle Heights, Maywood, and Huntington Park. While Exide has had to shut down three of its US plants over the past year over similar concerns, this particular plant closure pitted workers against neighbors. At a community meeting held in May, the LA Times reported, laid-off workers chided residents for destroying their livelihoods by blaming Exide for their problems. Residents begged Exide to think of the health of their children — many of whom, they claimed, were being or could be sickened by the plant. 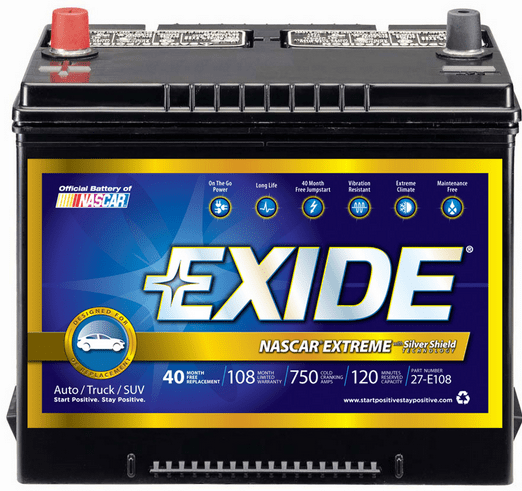 Exide itself appeared unmoved by the anecdotal claims of illness or potential harms to health. The degraded pipe and concerns over emissions were issues the DTSC had been aware of for several years, they acknowledged in their legal notice of defense. The DTSC’s sudden declaration that these concerns were of immediate danger, they claimed, were more about politics than concern for the welfare of the surrounding communities. Moreover, in filing for bankruptcy in early June, Exide cited the closure of the Vernon recycling facility as putting a significant dent in the quantity of lead it was able to supply to its own US-based manufacturing plants. Having to source lead from elsewhere drove up costs, they said, thereby harming the corporation’s operations nationwide. In a somewhat shocking move, Los Angeles Superior Court Judge Luis Lavin agreed. No word if the hearing will finally force Exide to file for a permanent operating permit as required by the 1976 Resource Conservation and Recovery Act. Exide took over the long-standing plant in 2000, but has operated the plant at “interim status” for over a decade now and remains the only hazardous waste facility in the state that does not yet have a permit. *KPCC cites Quemetco, in the City of Industry, as the only other battery recycler in the state besides Exide. Quemetco is, to the best of my understanding, linked to RSR Corp., listed here as a battery recycler in the City of Industry.